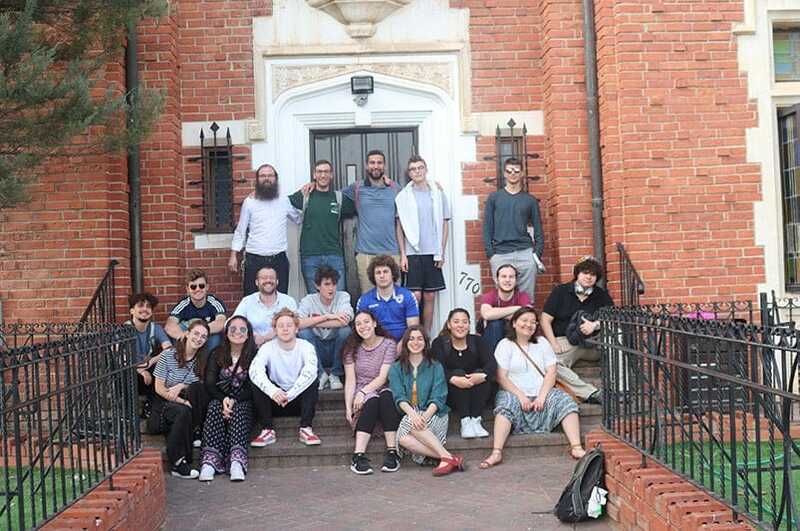 The Selah students took the train to Kfar Chabad, a delightful little village in the center of the country for Lubavitch Hassidim. The village numbers about one thousand families. They were given a guided tour around the main building – a replica of the famous 770 building where the Rebbe once lived in Crown Heights. The students heard about the history and development of this branch of Chassidut and had an opportunity to ask questions about the life of Rabbi Menachem Mendel Schneerson – arguably one of the most famous and influential Jews of the last hundred years. Then they had an opportunity to prepare and bake Matzot before seeing Israel’s largest Matza factory. Tens of workers put in eighteen-minute shifts (the time it takes for the dough to rise and risk becoming Chametz) in order to produce thousands of kilos of Matzot. The students ended their tour with a walk around the groves where they grow Etrog fruit for Succot. It was so wonderful to connect to two of the three major Jewish holidays (Pesach, Succot, and Shavuot – the Shalosh Regalim) here in Israel.